The Dode C Scrawls: First we take Manhattan! Red Skies! 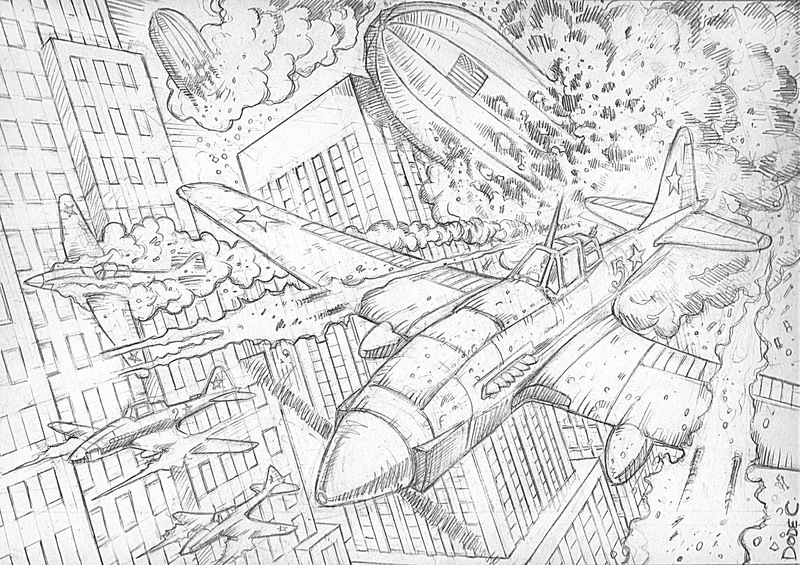 The initial idea behind this drawing was for a short story about a Soviet fighter squadron which becomes unstuck in time and flies, panic struck and fighting, through a series of alternative / parallel dimensions. In this alternative WW2 / Cold War scene the squadron of Shturmoviks attack skyscraper America. 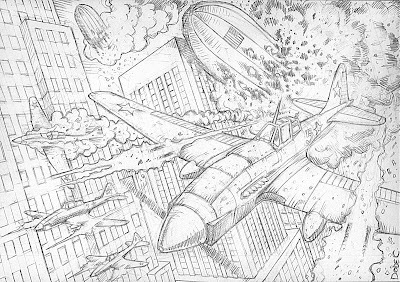 I wanted to put airships in because I just liked the idea of airships coming under attack and going down in a Hindenburg like inferno!